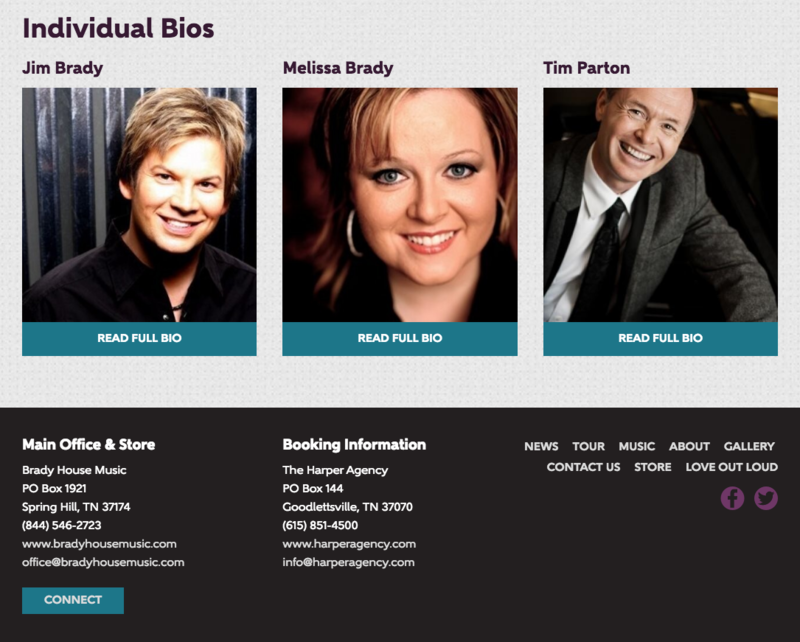 A new trio of long-time gospel music favorites, The Jim Brady Trio was ready to upgrade their website so that their web presence reflected their fresh take on traditional southern gospel. 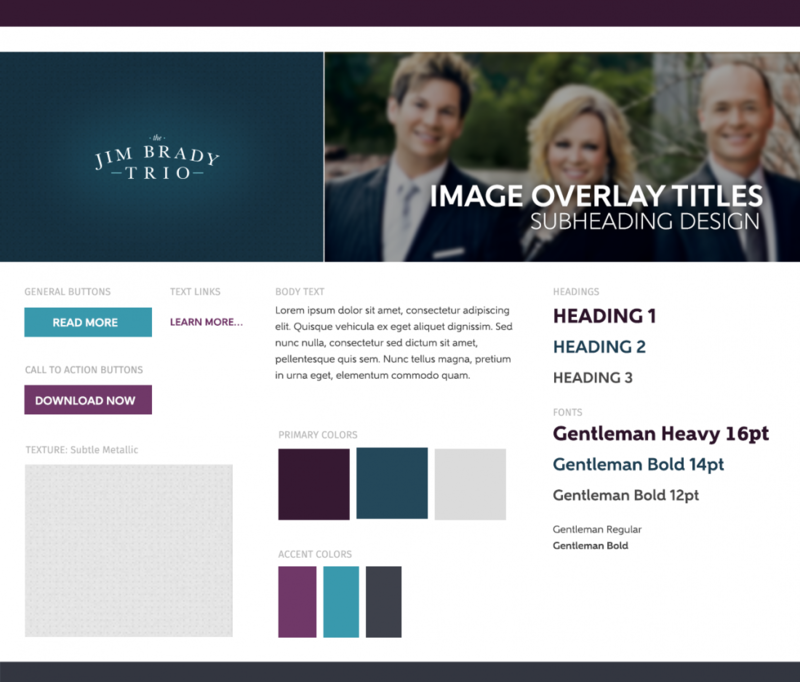 The group wanted a distinct design that was modern, clean and sophisticated. A cool but rich color palette combined with subtle metallic textures and a refined font give them classy with a touch of trendy. 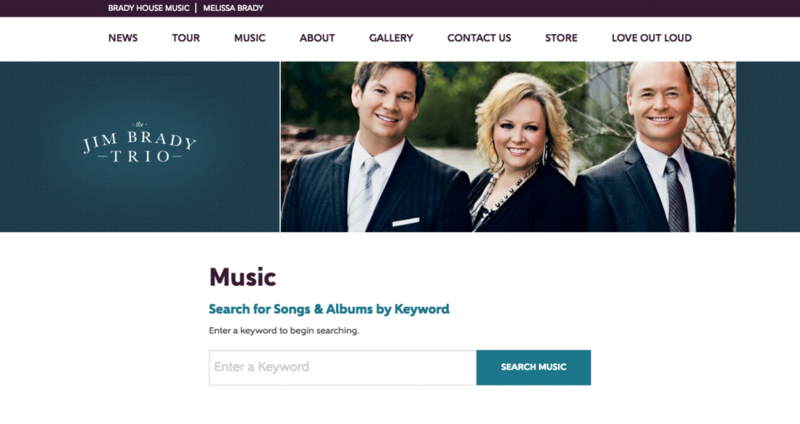 Visitors can quickly search for songs and albums by keyword. 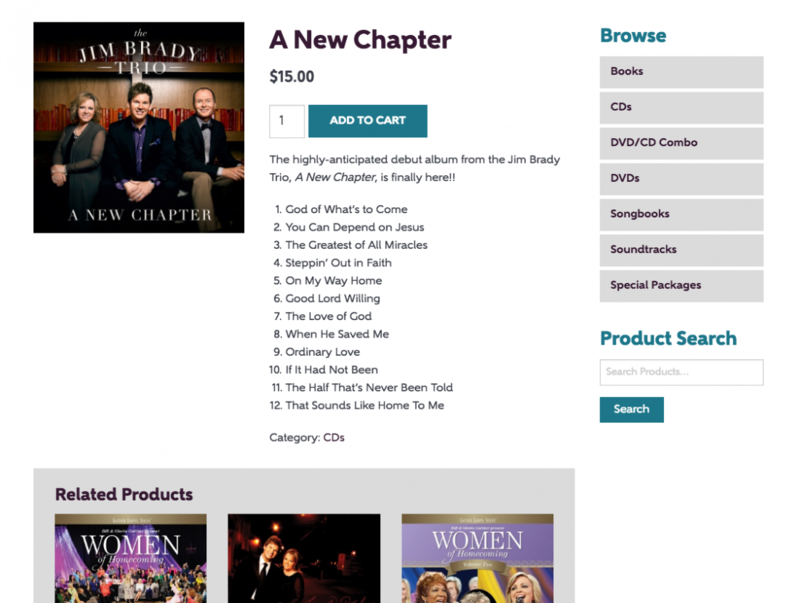 A full-featured store makes purchasing easy, and encourages visitors to explore other products. The website needed to showcase this highly anticipated trio, as well as feature individual members, as each has a loyal base of followers. Want to know more about this project or talk about how we can partner on your website, marketing, design and copywriting projects? Get in touch at info@landslidecreative.com.